Huawei internet modem is a most demanded gadget of the year. 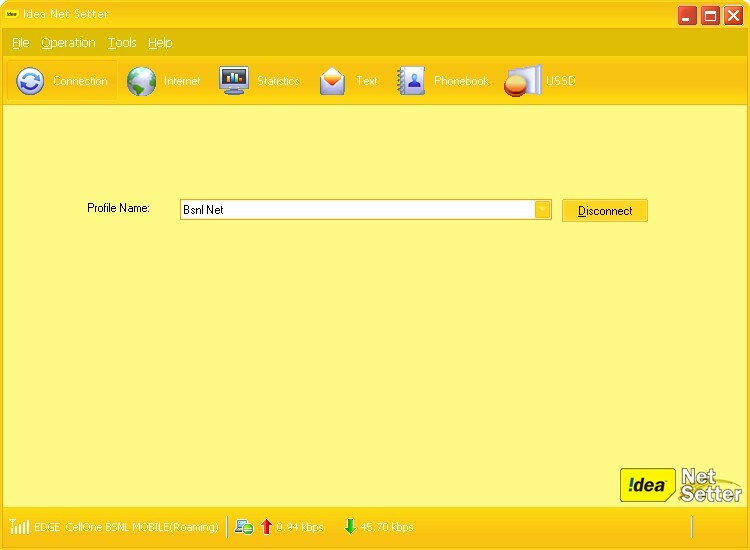 in this year many cellphone companies like idea cellular,reliance communication, vodafone acer, bsnl mobile has introduced their 3g huawei modems but they all of them excluding idea cellular gives modem with inbuilt sim so we can not use other sim in it. but we are able to use different sim in idea netsetter after unlocking it. i had aslo bought idea netsetter 3g modem named huwai E-1550 High speed WCDMA/EDGE/GPRS and had also successfully unlocked it and using bsnl sim in it take a look in following screen shot. Then Install Video MMS Dashboard (you Can Download it from here ). Then if You are asked huawei unlock/flash code please use Huawei Unlocker (You Can Download it From Here). in the first step he says flash code then open huawei unlcoker & enter iemi no. than click unlock. he generated flash code & nck code.. copy flash code & put in firmware upadte. 5. nck code is insert in to the idea net setter in the box . i m using idea net setter e1550 and i have cracked it and i have purchased new idea 3g sim, the problem is i m not getting 3g speed, i m getting 2g speed so pls help me if you have any idea how to get 3g speed. i m also send sms to activate 3g to idea c.care (12345).pls help me. Hello. The software is not downloading. Will u please unlock my idea netsetter E173. Please i neeed it urgent. Thanx.